I just watched a quick plug/segment on MSNBC's The Cycle. 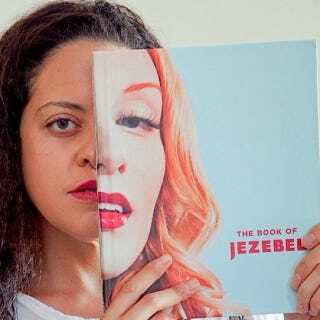 Anna Holmes was promoting the new Jezebel book. I was so conflicted during those few moments, part of me was pleasantly surprised. I like when women get a national platform to discuss things pertaining mostly to women. Part of me was screaming though. Ahhhhh! Don't you know this site has MAJOR issues that they refuse to address?! Issues with racism and classism. So many isms you guise!